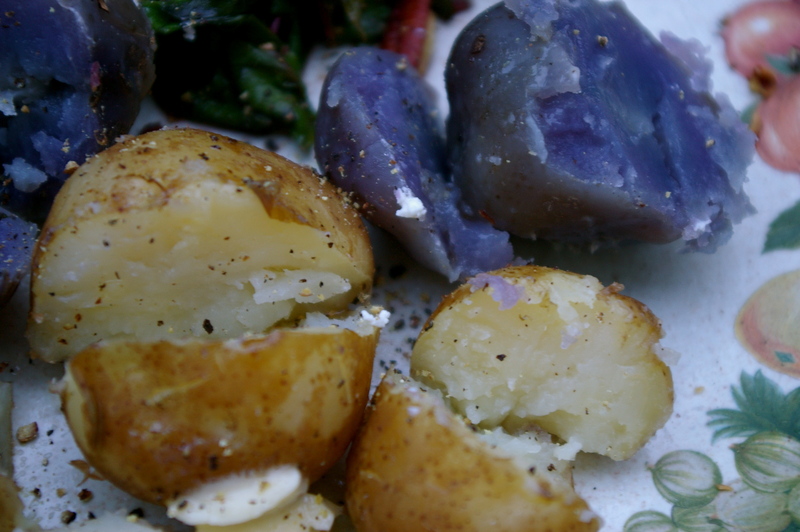 Potatoes, for good and for worse, are synonymous with Prince Edward Island. Blight might plague potatoes, but P.E.I. is plagued by industrial potato farming and its abhorrent pesticide use. Let’s, for now, push that nightmare to the back of our minds, so we can revel in pure potato bliss – there is nothing quite like the taste of a brand newborn baby potato – pulled from the red soil you were raised in – melting in your mouth. New potatoes are soft and buttery, before you even butter them. And when you do slather them with butter and sprinkle them with salt and pepper, the experience is elevated to a whole other level of comfort and joy. There is something so simple and ancestral about eating a bowl of potatoes for supper with nothing else. It makes me feel happy and humble. I’m reminded that potatoes were not an indulgent comfort food to my ancestors. They were at once a staple, a godsend, a hardship, a disappointment; both a means and end to survival. I like to support organic potato farmers – the most courageous of souls – who share some of the same toils my potato-growing ancestors did. 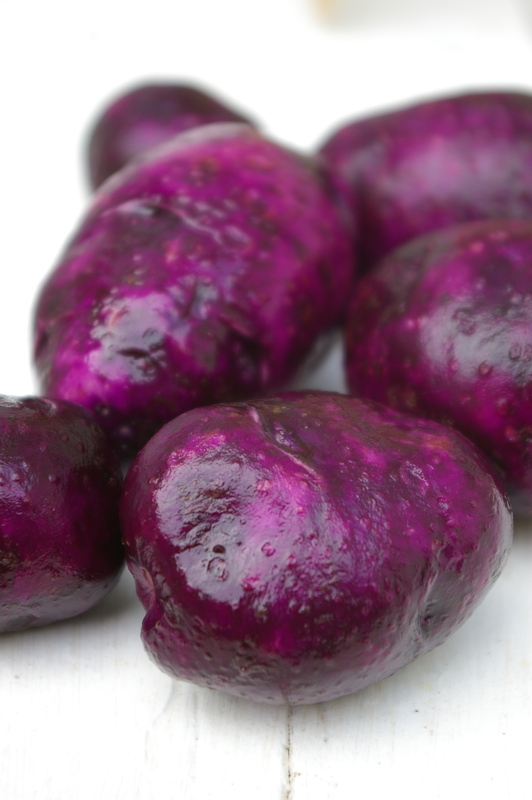 I picked up some beautiful bright purple potatoes at the Charlottetown Farmer’s Market on Saturday at Angel and Hans’ booth.